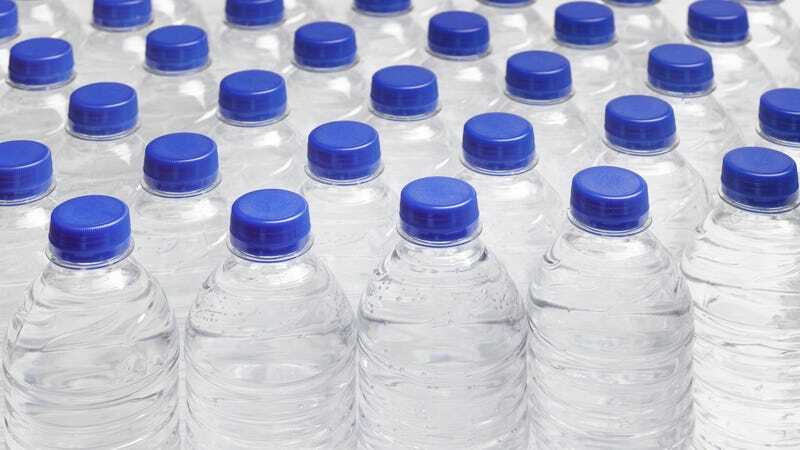 A study carried out on more than 250 water bottles sourced from 11 brands in nine different countries revealed that microplastic contamination was nearly universal, found in more than 90 percent of the samples. The researchers uncovered twice the level of plastic contamination found in the group’s previous study on tap water. Also, the survey included well-known brands like Aquafina, Dasani, Evian, Nestlé, and San Pellegrino. While it’s unclear what effect these plastics may have on the human body, it seems fairly intuitive that this contamination is not only 1) needlessly expensive but 2) easily avoided. Granted, I live in Chicago, which contains, as my husband likes to say, “the Cadillac of water.” Some other areas (Flint, Michigan) aren’t as fortunate. But unless you live in a place known for its heinous water supply, just pony up and buy a water bottle the next time you’re at Target.